Are you shopping for affordable used cars in Marietta, Georgia? If so we invite you to browse our selection of used cars, vans, SUVs and Used Trucks for sale at our Marietta used car dealership. Financing options, special offers and dealer discounts are available to help you save money on a quality pre-owned vehicle. Our used inventory includes vehicles from a variety of manufacturers including Ford, Nissan, Acura, Chevrolet and Toyota as well as many Honda models. 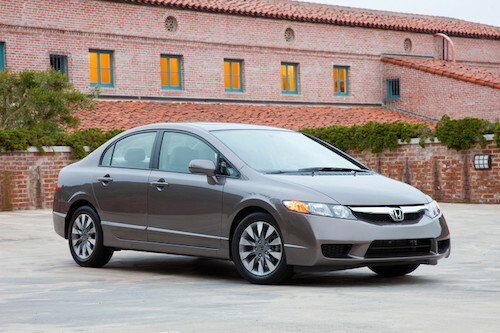 Used Honda Accord, Civic, Odyssey, Pilot, CR-V and Fit models are frequently in stock. Many of these models are Certified Pre-Owned Hondas with low mileage and extended factory warranties. With a wide array of pre-owned cars, vans, trucks and SUVs to choose from you are sure to find the perfect automobile to fit your lifestyle and your budget. If you are looking for something specific just let us know. If we don’t have it in stock, chances are good we can find it for you. Our used car dealership in Marietta is part of the Ed Voyles auto group and offers a huge selection. Why not stop by and take a test drive today?